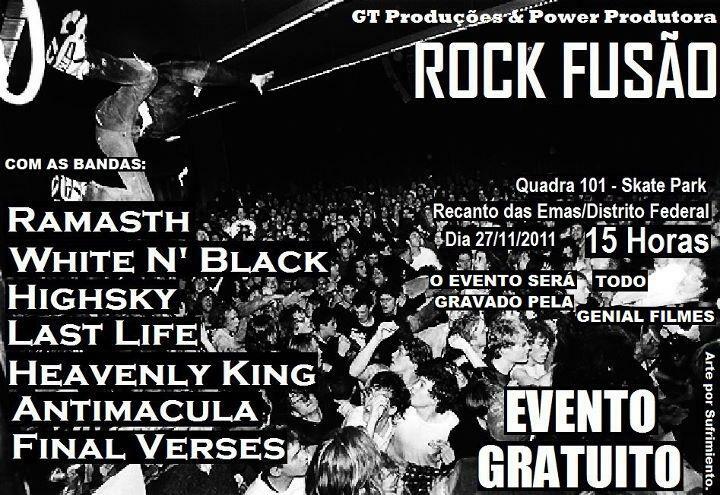 Com as bandas; Ramasth, White N' Black, Highsky, Last Life, Heavenly Kin, Antimacula e Final Verses. Entrada gratuita. No Skate Park do Recanto das Emas. 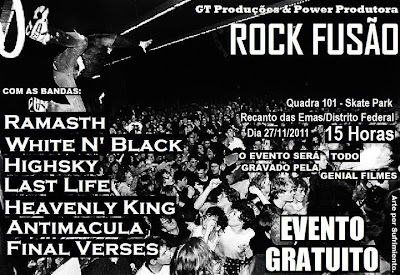 Dia 27/11 a partir das 15:00hrs.